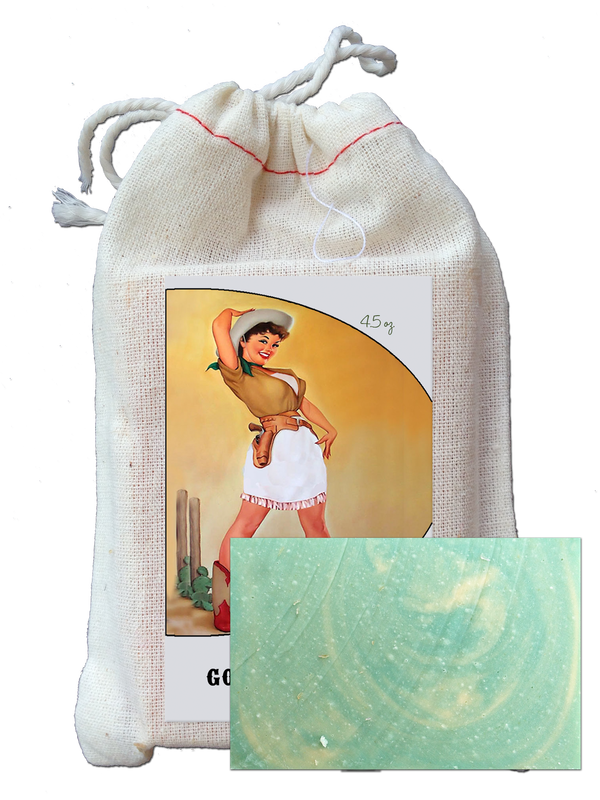 Each goat milk soap comes in a cotton bag with the featured label. 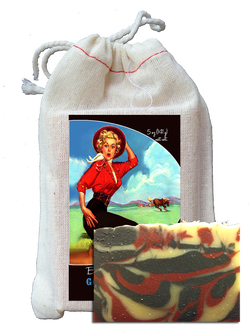 Click here to read all the juicy details on our goat milk soaps! Our version of a very popular raspberry and vanilla scent. Scrumptious! Ingredients- (saponified) goat milk, olive oil, palm oil, coconut oil, castor oil, fragrance oil, mica. 4 for $20 ($5 each) in the Savings Corral! Like the springtime Bluebonnets on a Texas hillside, this scent is sweet, soft, fresh...beautiful! 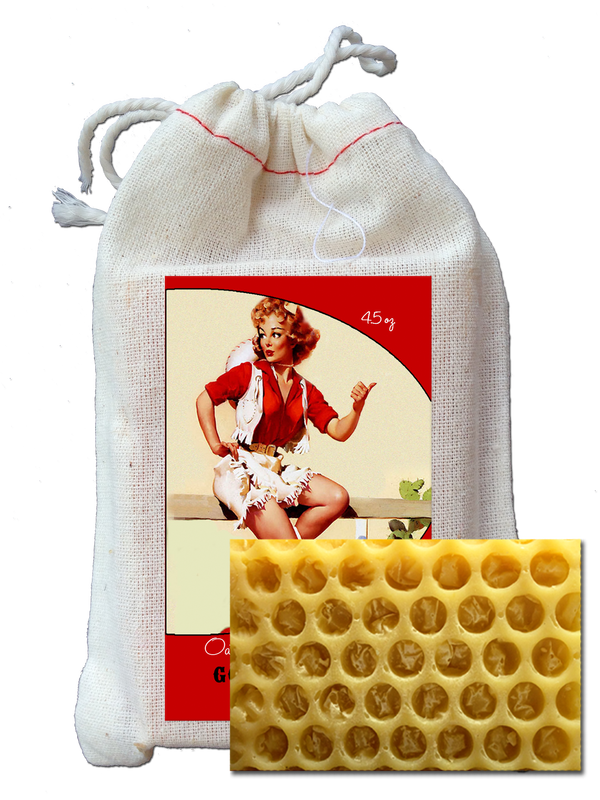 Oatmeal Milk & Honey Goat Milk Soap - Best Seller! A wonderful mild soap made with honey from our own hives (along with the fresh goat milk from our farm that we use in all our soaps) and ground oatmeal. No added fragrance. Ingredients- (saponified) goat milk, olive oil, palm oil, coconut oil, castor oil, honey, oatmeal. Limited edition goat milk soap with a spearmint, eucalyptus and peppermint essential oil blend. Ingredients- (saponified) goat milk, olive oil, palm oil, coconut oil, castor oil, essential oils. Hands down, the most popular "guy" scent at the shop! 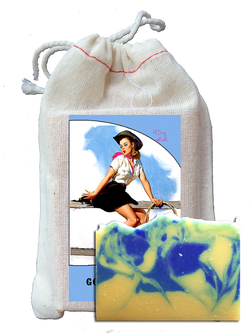 A must try goat milk soap!